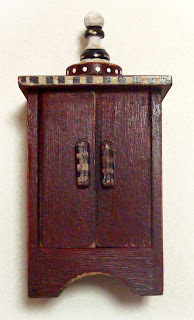 Pixie Hill: WIP's What do you think is behind door no. 1? WIP's What do you think is behind door no. 1? 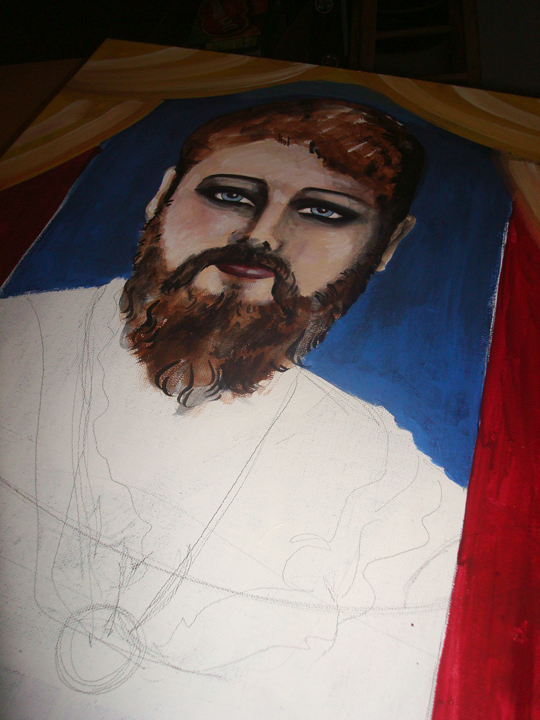 First, a bearded lady. This is my second attempt at a hairy gal, the first looked like a man with lady hair. Truth be told many bearded lady photos I came across looked like men with lady hair. Anyway, this fine female is coming along much better than the last time. Fingers crossed she turns out super because I've swapped her for something quite fantastical from one of my favourite artsy folk. An ornate fairy hat? A tiny tea set? A remarkably small book? A painted feather? A small canvas with the tiniest of paintings on it? A leprechaun's pipe and hat? A fairy wand and crown? A fortune teller is behind those doors! Can't wait to see the finished painting! That bearded lady has gotten my mind full of the Circus, so I think there will be a creepy clown or a fortune teller behind those doors!